A sip of hot soup. A spoonful of sorbet. Sounds delicious, but if you’re one of the 40 million Americans who have some tooth pain when eating certain foods, you found out the hard way that they're hard to enjoy without pain. So, even with all you do to take care of your teeth, what's making those 32 choppers of yours so tender, and what can you do about it? Here's a little help. While you can’t replace the enamel you’ve worn away, here are 6 ways you can protect the enamel you have — as well as reduce tooth sensitivity. Brush gently. Brushing too hard can impact your gums and expose your dentin, making your teeth sensitive. Use a soft bristle brush, brush up and down instead of side to side, and avoid brushing up into your gums. 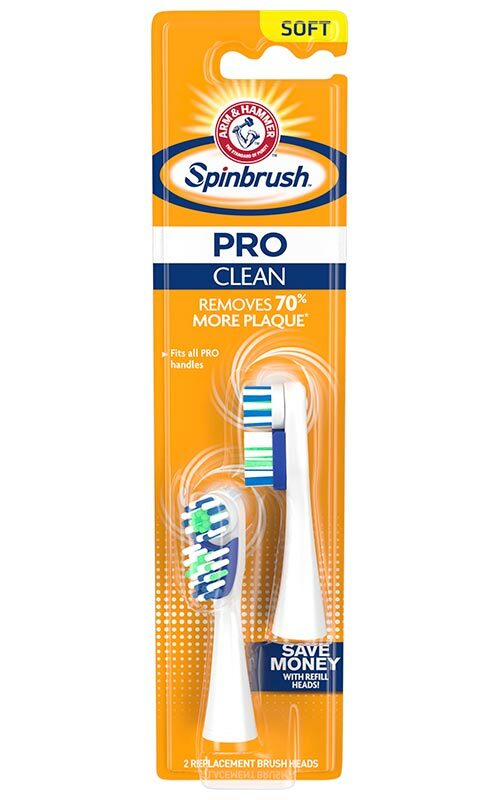 Or, use the Spinbrush™ Pro Series battery-powered toothbrush. 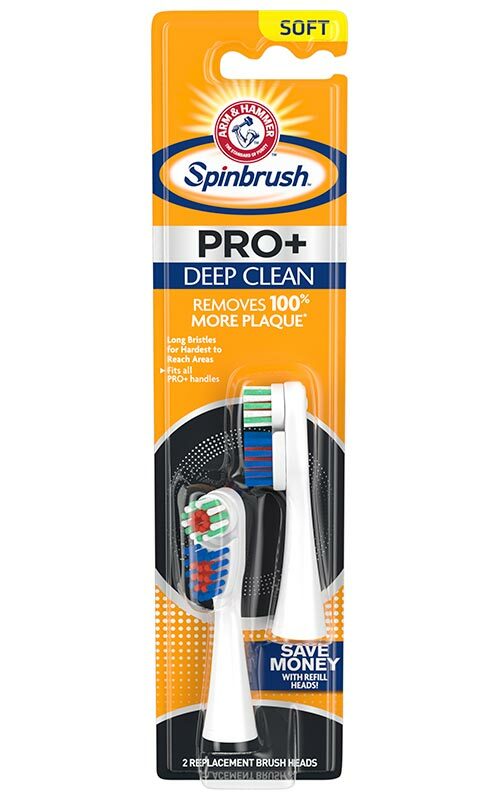 Just hold the bristles lightly against the surface of your teeth, angle the brush head slightly so it reaches under the gum line, and let those bristles do all the work. Whiten naturally. Bleaching and whitening toothpastes with chemicals are tough on sensitive teeth. To whiten your teeth naturally and safely, choose a toothpaste that uses the gentle power of baking soda. 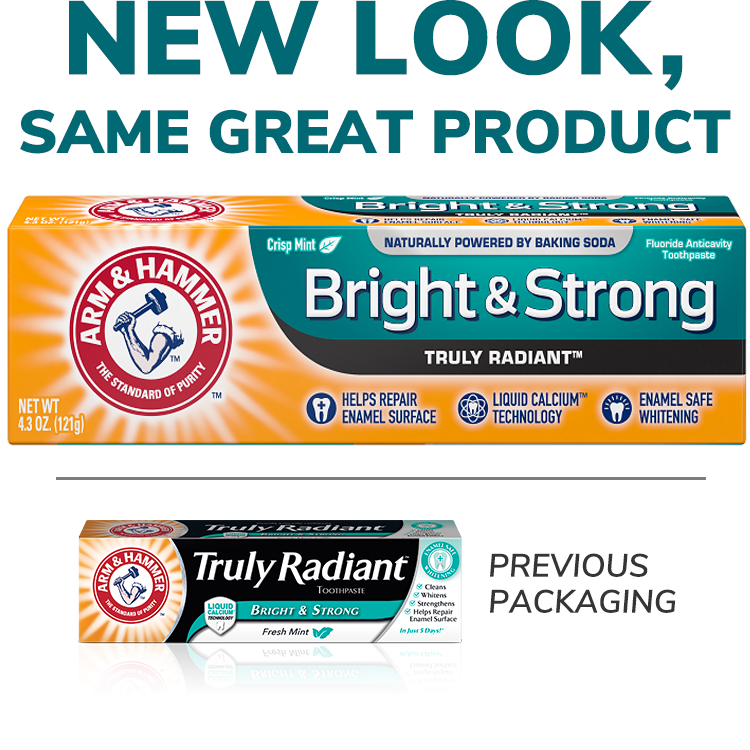 Switch to a sensitive toothpaste. These toothpastes are specially formulated to relieve pain in more sensitive nerves. 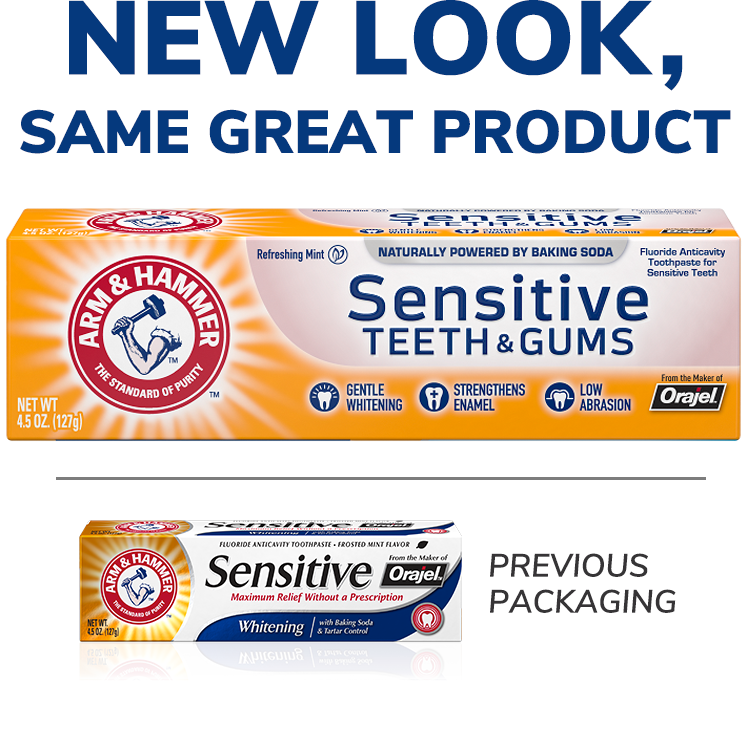 Try a sensitive toothpaste like ARM & HAMMER™ Sensitive Teeth & Gums to get maximum relief in a low abrasion formula that’s gentler on enamel. Rinse with fluoride. Fluoride helps strengthen your enamel, which can help protect against tooth sensitivity. Plus, fluoride helps protect you from tooth decay and cavities, which can also cause sensitive teeth. So, after you brush, use a fluoride rinse. Wear a night guard. If you grind your teeth while you sleep, you’re grinding down your enamel too, which can make your teeth sensitive. Talk to your dentist about being fitted for a mouth guard to protect your teeth while you sleep. Avoid trigger foods. If you notice your teeth are more sensitive after eating or drinking something hot, cold or acidic, take note and skip it at your next meal. While it’s disappointing to not be able to eat something you love, take a break from it and see what happens. If your teeth are the sensitive type, don’t worry. With a little patience, and a few changes to your brushing routine, you’ll have plenty of reasons to smile.